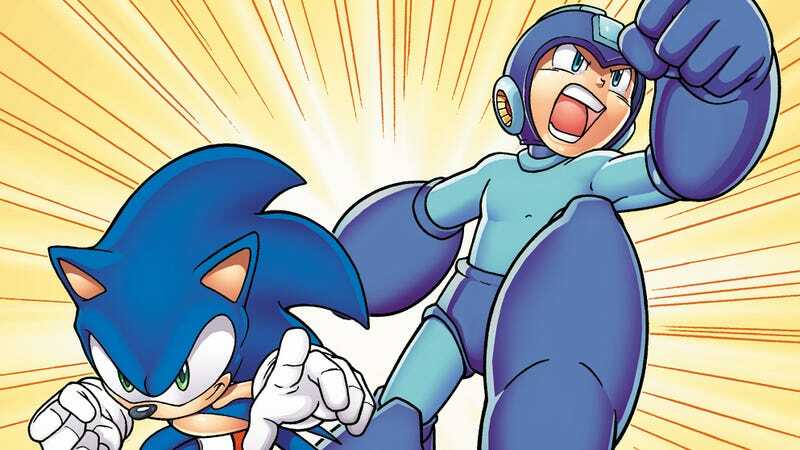 Can Mega Man jump higher than Sonic? Is Sega's blue hedgehogedgehog faster than Flash Man? We'll all find out next year, thanks to Archie Comics. franchises. This has never happened before. We're making history here, and it's going to knock people for a loop. This is what comics are all about – drama, fun, action and tons of surprises. Fans will not be disappointed." Come back for more info on the Sonic/Mega Man crossover later today during Kotaku's Panel Discussion programming block.